Oh my, I never realized. The Sleeping Lady silhouette is an iconic feature of the Icicle Canyon. Moments before fog hid the this scene from me. As I started to leave disappointed in the endless gray the clouds parted and I thrilled at the beauty that had been there all along. I have times when grayness covers my life I am discouraged. It is then I think of this moment and hold onto Jesus trusting he has something marvelous just beyond my vision. This entry was posted in Photography and tagged Cascade Range, Eph. 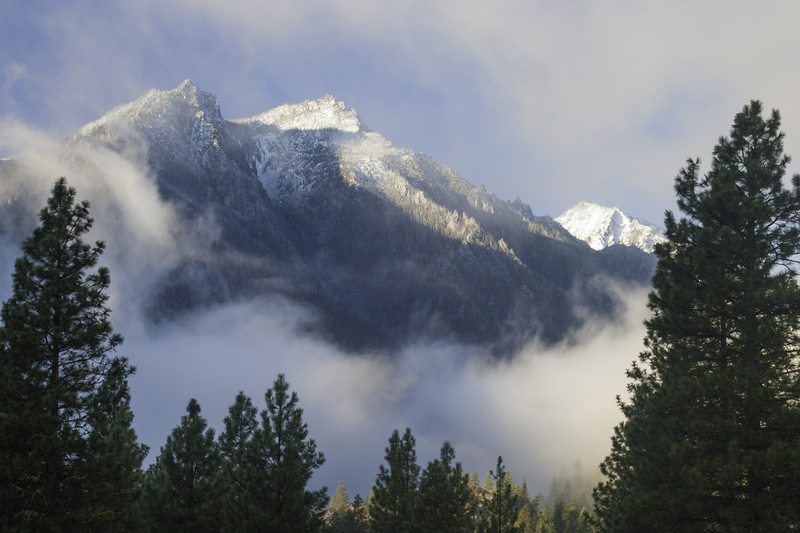 5:14, Icicle Canyon, landscape photography, Leavenworth WA, Sleeping Lady by Stephen Hufman. Bookmark the permalink.